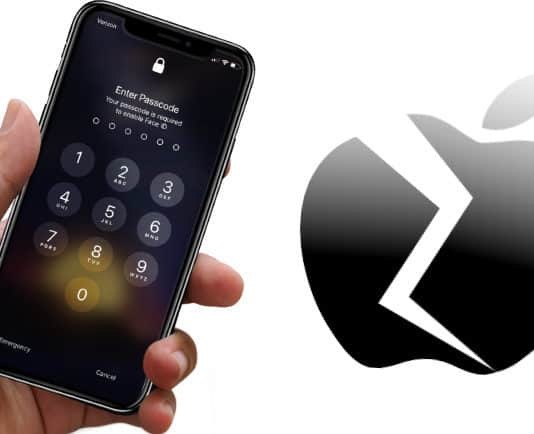 Data recovery company DriveSavers has developed an iOS 12 hack that affects all iPhones and iPads running the latest iOS version from Apple. But unlike other hacks that are reported in exchange for reward under Apple’s bug bounty program, this hack will not be revealed to the iPhone maker. Instead of giving the information to Apple, Inc., DriveSavers plans to build an iPhone unlock service around this vulnerability. That means users could end up paying as much as $3,900 to unlock an iPhone that you’ve been locked out of. That may be an extremely capitalistic endeavor that borders on the unethical, but it poses an even bigger problem. If anyone else gets their hands on the iOS 12 hack, they could potentially force users to pay them to unlock the device. In the worst case scenario, a hacker could access an iPhone and lock it up, forcing the user to pay a ransom to unlock the iDevice. The scary thing about this exploit is that it has a “100% success rate”, as claimed by the company. Although it will implement identification processes to prevent users from unlocking phones that don’t belong to them, the risk that it will be misused is very high. How will this affect Apple? This vulnerability potentially makes any iOS 12 device open to being attacked. Apple has always trumpeted the fact that iPhones are secure, but this hack moots that claim. It could affect the sales of new devices, but it’s impossible to say by how much. However, Apple is already struggling with iPhone demand leveling off, and is working towards a solution to the sales problem by pushing Apple Music to other platforms like Amazon’s Echo devices. Last month the two companies also decided to finally list iPhones and other Apple products on Amazon.com. One notable product missing from the list is the Apple HomePod, which is a direct competitor to the Amazon Echo range of smart speakers. There’s no doubt that this new iOS 12 hack is bad news for Apple, which has always relied on security researchers to submit their exploits so they can be patched in subsequent releases of iOS. With DriveSavers now holding back their exploit in hope of creating a revenue stream, it is imperative that Apple plug this hole with a major iteration of iOS 12. But they have to find it first, and that’s not going to be easy since DriveSavers isn’t sharing any information with them at this point. Apple AirPods (2019) vs Samsung Galaxy Buds: Which is best? MacExpertGuide was established from 2012 with love and passion.